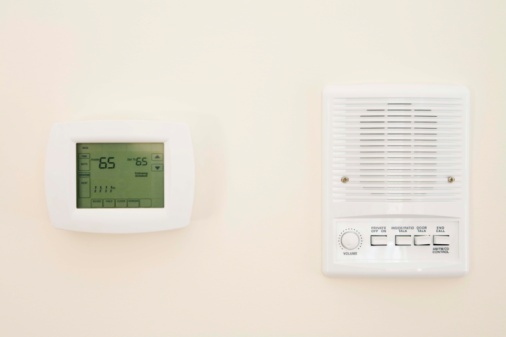 Totaline makes a wide range of thermostats for your home or business. 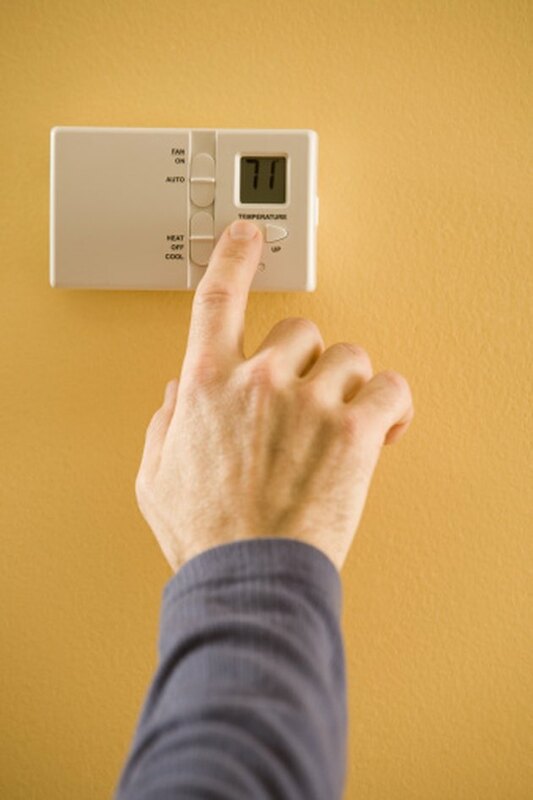 A thermostat controls your heating and cooling systems from a central panel. Totaline offers thermostats with three basic configurations, each with a different set of instructions for use. If you need to reset the unit to the manufacturer's settings, just find the model that is like yours. Press the button labeled "Mode" and hold it down. At the same time, press the "Down" key. Release both buttons after two seconds and hold down the "Fan/Override" button. Let go of the button when the display flashes or reads "Fd." Press the "Mode" button once and release. Push "Mode" once more to complete the reset. Push the "Mode" and "Fan" keys at the same time. Release both keys after seven seconds. Press "Fan" again and hold it until the display starts to blink or show the word "Fd." Push the "Mode" key and let it go without holding it. Press "Mode" once more and let it go. Slide the "Program" switch to the "Set" option. Press and hold the "Next" button until the Setup opens. Push and release the "Next" button once then push it again, but hold it down this time. Don't release the button until all of the function icons display. Press the "Next" button again and hold it down until the display says "Fd." The display will not flash or blink. Push "Next" three times in a row, but do not hold it down. Slide the switch back to "Program" when you're done.